In 348,186 miles of driving my 2001 F-250 7.3 diesel, these BF Goodrich All Terrain T/A tires are, by far, the best I've had on it. I used Goodyear, Cooper, Perrelli and the rest. 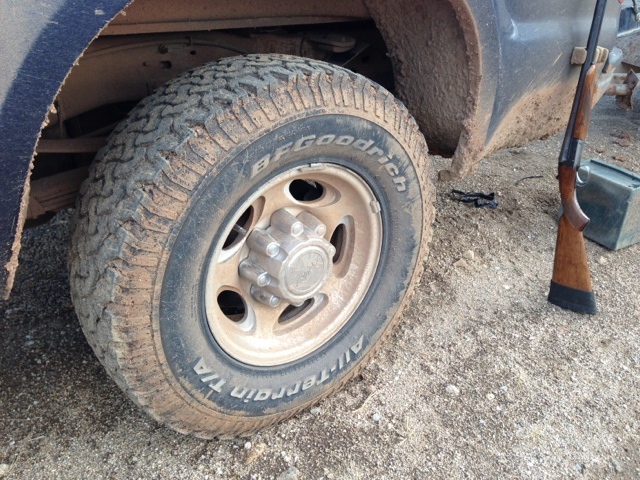 These BF Goodrich tires got me through freeway driving, snow, rain, rivers, rocks, sand and mud....on this trip alone! I will get them again and they will always be on my hunting truck. Using technology makes our hunting so much easier! Especially, when hunting an area for the first time. 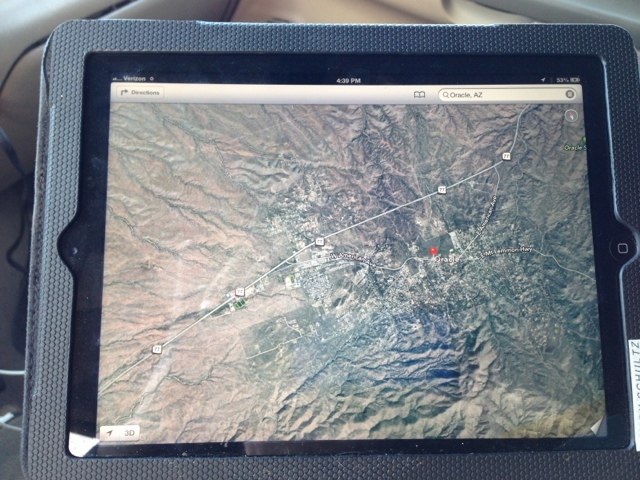 We used the map and satellite function of my iPad and iPhone to find tanks, elevations, power lines and trails here in AZ. Tech is supposed to make our lives easier. This is one more way we make it work for us instead of vice versa. Now, if only I could get an overlay of the BLM Land Use maps!! !